How can Team India counter their tormentor in the 5th Test? When Matthew Hayden came to India during the historical tour of 2001, when Graham Gooch toured the sub-continent and tormented the spinners, when Karun Nair scored his epic triple century against England, there was one thing in common - they all swept the ball. Big strides, machismo, confidence. Spinners over the years have confessed that nothing dents their confidence and puts them off their lengths more than batsmen sweeping away to glory. If there's one thing common between most successful overseas batsmen who have done well in Asia, it is that they have swept the ball well. This shot not only adds valuable runs on the board, but also forces the spinners off their lines and lengths, forcing them to bowl shorter, away from the rough. This Indian batting order has been reluctant to sweep. Apart from Ravichandran Ashwin, no Indian batsman has attempted the sweep shot more than 5 times this series. The sweep shot doesn't come naturally to Kohli, but few batsmen possess God-like abilities like him to learn the shot overnight and score runs against any attack. Pujara and Rahane, the two key pillars in India's batting order, have also always been reluctant sweepers. While Rahane having issues with spin isn't news anymore, Pujara has always played within his limits, playing shots he's comfortable playing. Rahul is a good sweeper of the ball, but he hasn't even lasted long enough this series to face the spinners. The lack of ability to sweep the ball has been a major reason why the current Indian batting have never quite been comfortable against spin. They have struggled against quality spinners, be it at home or away. There were reports that during the practice sessions before the final Test at the Oval, each Indian batsman was given throw downs to practice the sweep shot. Dhawan, Rahul, Pujara, Rahane, Pant - all were made to practice the shot, to add another weapon to counter Moeen, who was the difference between the two sides in the previous Test. 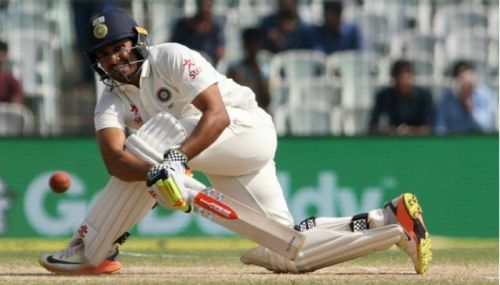 Although it is not a shot that can be learnt overnight, with a little bit of luck and a whole lot of determination, the Indian batsmen can be confident of executing it well. 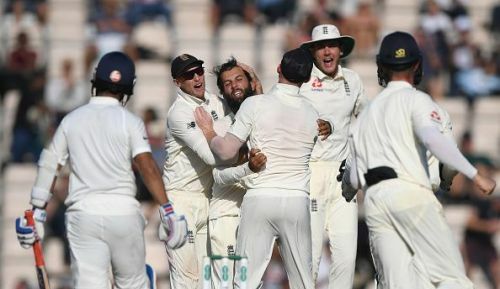 Now, if Rahul & Dhawan survive the new ball, if Pujara, Kohli and Rahane are confident and determined, if Pant, Pandya and Ashwin are a little more sensible in their stroke-making they can sweep off the misery provided by Moeen.